element14 Pty Ltd has expanded its partnership with Hammond Manufacturing to bring their best-selling enclosures to Asia Pacific. The enhanced partnership will allow element14 to expand its inventory of enclosures to enable fast despatch to electronic design engineers in the region. A global force in the enclosures market particularly for electrical and electronic OEMs, Hammond specialises in the design and manufacture of die-cast aluminium, plastic and metal enclosures for portable and handheld equipment, desktop instruments, miniature controllers and similar applications. Hammond’s 1550Z series comprises thick-wall watertight die-cast aluminium enclosures, compliant with IP 66 standards. 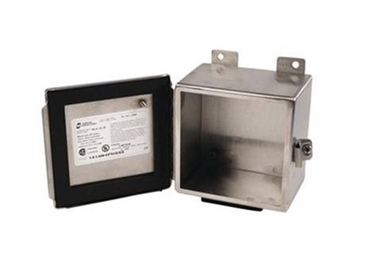 The 1414 N4 PHSS series of continuous hinge, clamped cover stainless steel enclosures provides protection where equipment may be utilised in wet conditions and is designed for use as instrument enclosures, electric, hydraulic or pneumatic control housings, electrical junction boxes or terminal wiring enclosures. Tim Wang, Regional Director - Supplier and Asset Management, element14 Asia Pacific explains that the expanded partnership with Hammond enables them to provide over 2,400 enclosures, racks and cabinets, and associated accessories to engineers in Asia Pacific. The large inventory along with element14’s multi-channel methods of ordering in local currency and language capabilities means that the company can meet demand and deliver fast fulfilment to customers in the region. According to Raymond Lee, Country Sales Manager, Hammond Electronics Asia, Hammond combines high performance manufacturing equipment and continuous improvement to ensure high product quality. He also finds element14’s unique combination of high service in terms of stock availability and technical support an ideal fit for Hammond to provide higher levels of service to their customers in Asia Pacific.